On 11 May 1948, the Batangas Court of First Instance found one Cresencio Ruben Tolentino, an officer of the Hukbalahap movement, guilty of the crime of illegal assembly1. The term “Hukbalahap” was short for “Hukbong Bayan Laban sa Hapon” (National Army Against the Japanese), originally formed as a guerrilla force to fight against the Japanese in World War II but, being of a communist inclination, became a rebel group against the Philippine government after the war2. The crime of illegal assembly is inciting an audience “to the commission of the crime of treason, rebellion or insurrection, sedition or assault upon a person in authority or his agents3.” While the Hukbalahap movement’s main strongholds were Central Luzon and Manila, they were also actively recruiting in Southern Luzon, including Batangas. Tolentino, although he was in prison, had petitioned the Office of the President for his release under the stipulations of the proclamation. No action was taken, so Tolentino’s lawyers filed a case in court. He had prominent representation in Ruben and Jose “Pepe” W. Diokno of the famous political family of Batangueño origin. While the judge, one Juan Enriquez, conceded that Tolentino was, indeed, covered by the amnesty proclamation, he refused to issue a writ of habeas corpus5 on the basis of a technicality. Enriquez was of the opinion that the release of prisoners under the amnesty was vested upon a committee created for this purpose whereas Tolentino had sent his petition directly to the President. The Solicitor General, too, was apparently unconvinced by the judge’s decision and passed it on to the Supreme Court for review. 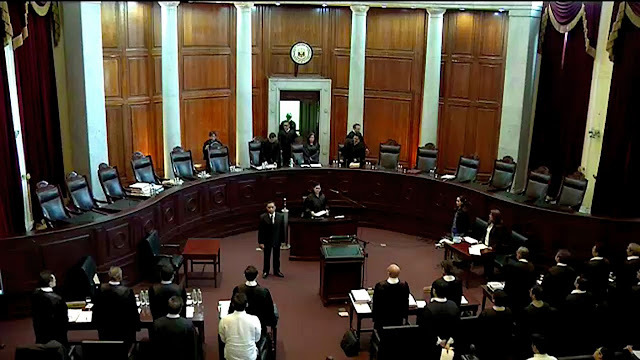 His opposition to Tolentino’s petition, instead, was premised on the latter’s alleged failure to produce arms for surrender to the government as was called for by the amnesty proclamation. However, attached to the records of the Court of First Instance was a document signed by the Commanding Officer of the Philippine Constabulary6 in Batangas saying that Tolentino himself had presented a .45 Remington caliber pistol. While the Provincial Fiscal conceded that the signature was authentic, he also questioned its validity by saying that he had not seen the document when the case was being tried in court. He also being claimed that the gun was actually surrendered by another member of the Hukbalahap movement. 1 The primary details of this article are taken from “Cresencio Ruben Tolentino v Cesario Catoy, Provincial Warde of Batangas, Batangas,” online at The LawPhil Project. 3 “Presidential Decree No. 1834,” online at The LawPhil Project. 4 “Proclamation No. 76, s. 1948,” online at the Official Gazette. 6 “The Philippine Constabulary (PC; Filipino: Hukbóng Pamayapà ng Pilipinas, HPP; Spanish: Constabularia Filipina, CF) was a gendarmerie-type police force of the Philippines from 1901 to 1991. It was created by the American colonial government to replace the Spanish colonial Guardia Civil. It was the first of the four service commands of the Armed Forces of the Philippines. On January 29, 1991, it was merged with the Integrated National Police to form the Philippine National Police,” Wikipedia.